THERE IS A REWARD FOR EVERYONE! On your VIP App you can start referring your friends by tapping on the SHARE button from the main screen or tap on the Refer-A-Friend button from the App’s menu. You will receive 25 VIP App reward points + a 50% Off coupon*. Your friend receives $10 mythriftstores eMONEY once they download the VIP App and sign up. *Offer valid only on the first Wednesday after the issue date of the coupon at mythriftstores. 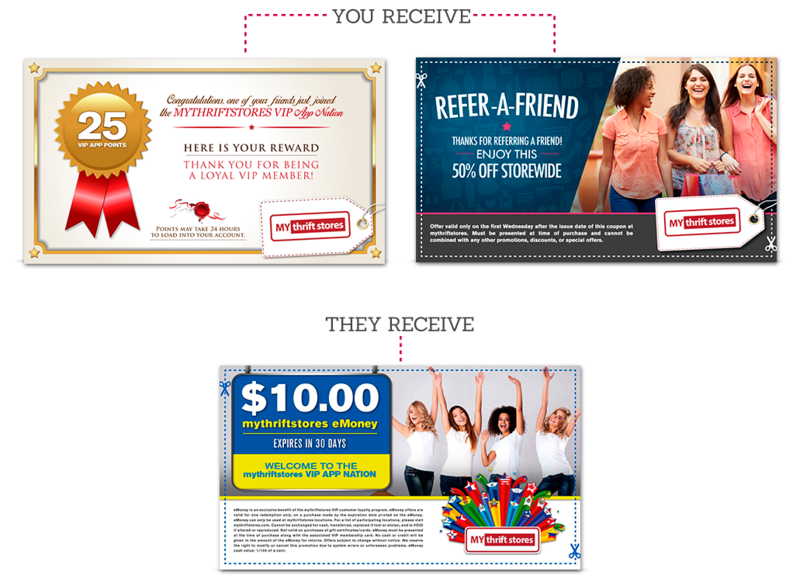 Must be presented at time of purchase and cannot be combined with any other promotions, discounts, or special offers. Offers may change without notice. ONE TIME USE ONLY. *In order to receive your VIP App rewards, your friends must download the VIP App and sign up. VIP App rewards may take up to 24 hours to load. 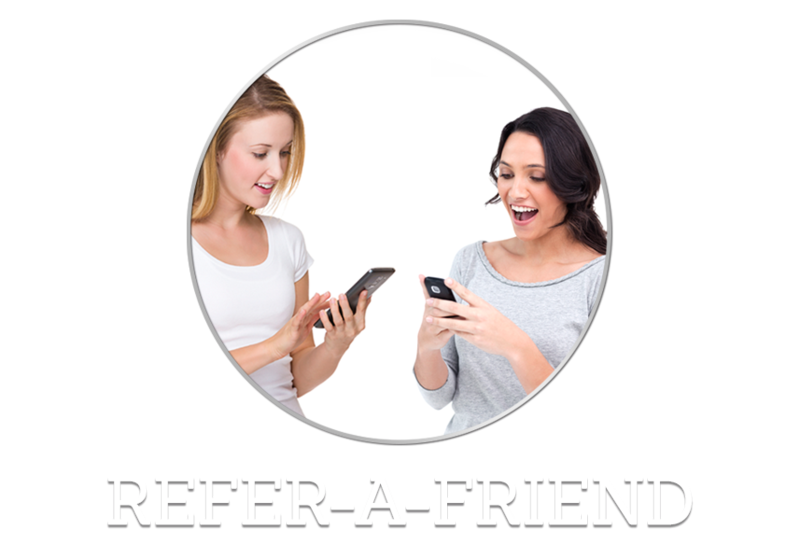 Maximum of 10 new referrals per year. The eMoney will be issued 24 hours after your friend’s registration.